The successful design of any boat is a subtle blend of art and science. While there is a lot of room for personal preference and choice, there is also much that is constrained by the immutable laws of physics. The artistic choices are in determining the desired performance and then shaping the boat such that it interacts with the hard-and-fast rules of nature to achieve those goals. While there are obvious differences between a super-tanker crossing the Atlantic and a kayak bobbing on a bay, the water and gravity effecting the two boats are exactly the same. The science developed for large ships is precisely the same as that which relates to small boats like a kayak or row boat. The difference is the design goals of the kayak designer vs those of the ship designer. 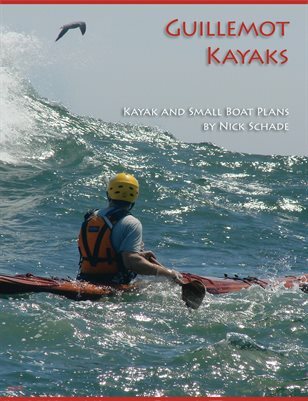 While a tanker designer needs to worry about carrying a heavy load across an ocean and into defined spaces like the Panama canal, a small boat designer may want a kayak that carves down a wave or is stable for fishing. The reason a tanker looks different from a kayak is not due to some difference in the way physics applies to the two boats, but the fact that their intended purposes are different. The task of designing any boat should first start with determining that intended purpose. The same applies when choosing an existing design for your own use. Even if you are not designing your own boat, you still need to decide what you want out of your boat before choosing a design.